A tractor trailer driver was charged this week in connection to a wreck in Rockingham County NC that killed two adults and a three year old boy. The truck driver was charged with three counts of misdemeanor death by motor vehicle and one count of unsafe movement. The crash occurred at 11 am between Broadleaf Road and Bethlehem Church Road, which is between Eden and Reidsville NC. The initial investigation stated that a 1998 Ford Contour with two adults and child inside went left of center and smashed into a big rig, killing the three inside. The truck driver was not hurt. However, the investigation later found that another big rig was involved. Another tractor trailer, driven by the accused, attempted to change lanes and hit the Ford, which caused it to careen across the road into the path of the other truck. Our trucking accident law firm offers our deepest condolences to the family of the deceased in this preventable truck accident. We frequently see cases where truck drivers act irresponsibly. It is the most sacred duty of all truck drivers to drive safely; it is more important than getting to their destination on time. 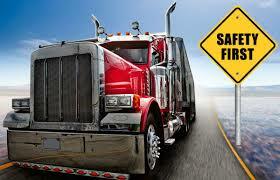 Still, we handle many personal injury cases caused by careless truckers in a hurry. We also see cases where truckers aren’t paying attention to the road and kill others. We once settled a case for $3.5 million where a big rig driver slammed into the rear of a car on I-64. The car was moving slowly due to a tire problem. The car caught fire in the crash and our client, a 25 year old man, was killed. The defense argued that the car driver caused the wreck by going 25 MPH at night and did not have hazard lights on. However, our experienced legal team was able to show that the truck driver violated safety rules from the VA CDL manual. We also showed that the trucker did not have his diabetes under control and his lack of proper medication could have played a role in the wreck.